Join the team of the animation team of Arthur de Pins’ Zombillenium ! 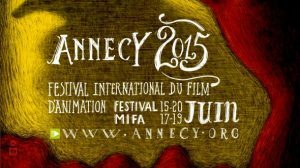 In order to produce the animation movie Zombillenium (Arthur de Pins), we are recruiting during the Annecy Festival. Log in to your account on annecy.org and join us thursday at 9:30 a.m. to show us your CGI/Modeling animation projects… The recruitement is managed in collaboration with the studio Deux minutes (Angoulême) and Pipangaï (Réunion). Multiple jobs will be available.